It is hardly necessary for me to say that I welcome the Pandit's interest in what I regard as one of the greatest problems of the East and perhaps of the whole world. He is, I believe, the first nationalist Indian leader who has expressed a desire to understand the present spiritual unrest in the world of Islam. In view of the many aspects and possible reactions of this unrest, it is highly desirable that thoughtful Indian political leaders should open their mind to the real meaning of what is, at the present moment, agitating the heart of Islam. I do not wish, however, to conceal the fact, either from the Pandit or from any other reader of this statement, that the Pandit's articles have for the moment given my mind rather a painful conflict of feelings. Knowing him to be a man of wide cultural sympathies, my mind cannot but incline to the view that his desire to understand the questions he has raised, is perfectly genuine; yet the way in which he has expressed himself betrays a psychology which I find difficult to attribute to him. I am inclined to think that my statement on Qadianism — no more than a mere exposition of a religious doctrine on modern lines — has embarrassed both the Pandit and the Qadianis, perhaps because both inwardly resent, for different reasons, the prospects of Muslim political and religious solidarity particularly in India. "It is ... my effort to impress on the Indian Muslims the extreme necessity of internal cohesion in the present critical moment of their history in India, and my warning them against the forces of disintegration, masquerading as reformist movements." also learn the method of worship from him!" "The institution of Inquisition has been absolutely unknown in Muslim countries. The Qur'an expressly prohibits such an institution. ... [One] will find from the history of Islam that the Jews and Christians, fleeing from religious persecution in their own lands, always found shelter in the lands of Islam." The simple faith of Muhammad is based on two propositions — that God is One, and that Muhammad is the last of the line of those holy men who have appeared from time to time in all countries and in all ages to guide mankind to the right way of living. If, as some Christian writers think, a dogma must be defined as an ultra-rational proposition which, for the purpose of securing religious solidarity, must be assented to without any understanding of its metaphysical import, then these two simple propositions of Islam cannot be described even as dogmas; for both of them are supported by the experience of mankind and are fairly amenable to rational argument. The question of a heresy, which needs the verdict whether the author of it is within or without the fold, can arise, in the case of a religious society founded on such simple propositions, only when the heretic rejects both or either of these propositions. Such heresy must be and has been rare in the history of Islam which, while jealous of its frontiers, permits freedom of interpretation within these frontiers. And since the phenomenon of the kind of heresy which affects the boundaries of Islam has been rare in the history of Islam, the feeling of the average Muslim is naturally intense when a revolt of this kind arises. This is why the feeling of Muslim Persia was so intense against the Bahais. That is why the feeling of the Indian Muslims is so intense against the Qadianis. It is true that mutual accusations of heresy for differences in minor points of law and theology among Muslim religious sects have been rather common. In this indiscriminate use of the word Kufr, both for minor theological points of difference as well as for the extreme cases of heresy, which involve the excommunication of the heretic, some present-day educated Muslims, who possess practically no knowledge of the history of Muslim theological disputes, see a sign of social and political disintegration of the Muslim community. This, however, is an entirely wrong notion. The history of Muslim theology shows that mutual accusation of heresy on minor points of difference has, far from working as a disruptive force, actually given an impetus to synthetic theological thought. 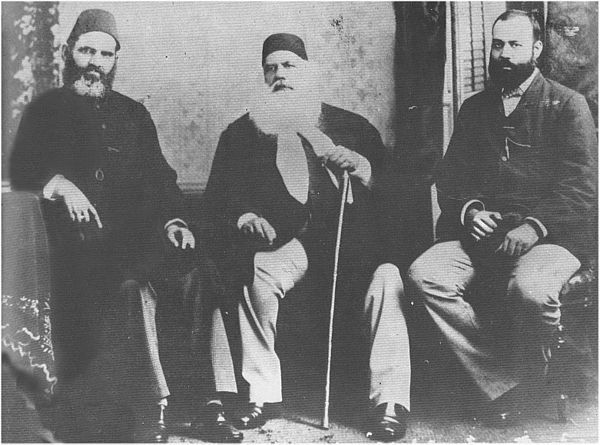 "When we read the history of development of Muhammadan Law," says Professor Hurgronje, "we find that, on the one hand, the doctors of every age, on the slightest stimulus, condemn one another to the point of mutual accusations of heresy; and, on the other hand, the very same people with greater and greater unity of purpose try to reconcile the similar quarrels of their predecessors." The student of Muslim theology knows that among Muslim legists this kind of heresy is technically known as "heresy below heresy," i.e. the kind of heresy which does not involve the excommunication of the culprit. It may be admitted, however, that in the hands of mullahs whose intellectual laziness takes all oppositions of theological thought as absolute and is consequently blind to the unity in difference, this minor heresy may become a source of great mischief. This mischief can be remedied only by giving to the students of our theological schools a clearer vision of the synthetic spirit of Islam, and by reinitiating them into the function of logical contradiction as a principle of movement in theological dialectic. The question of what may be called "major heresy" arises only when the teaching of a thinker or a reformer affects the frontiers of the faith of Islam. Unfortunately, this question does arise in connection with the teachings of Qadianism. It must be pointed out here that the Ahmadi movement is divided into two camps, known as the Qadianis and the Lahoris. The former openly declare the founder to be a full prophet; the latter, either by conviction or policy, have found it advisable to preach an apparently toned down Qadianism. However, the question whether the founder of Ahmadism was a prophet, the denial of whose mission entails what I call the "major heresy", is a matter of dispute between the two sections. It is unnecessary for my purposes to judge the merits of this domestic controversy of the Ahmadis. I believe, for reasons to be explained presently, that the idea of a full prophet whose denial entails the denier's excommunication from Islam is essential to Ahmadism; and that the present head of the Qadianis is far more consistent with the spirit of the movement than the Imam of the Lahoris. "The idea of Finality in Islam ... its meaning is simple: No spiritual surrender to any human being after Muhammad. ... No revelation ... is possible after Muhammad. He who claims such a revelation is a traitor to Islam. " The cultural value of the idea of Finality in Islam, I have fully explained elsewhere. Its meaning is simple: No spiritual surrender to any human being after Muhammad, who emancipated his followers by giving them a law which is realizable as arising from the very core of human conscience. Theologically, the doctrine is that the socio-political organization called "Islam" is perfect and eternal. No revelation, the denial of which entails heresy, is possible after Muhammad. He who claims such a revelation is a traitor to Islam. Since the Qadianis believe the founder of the Ahmadiyya movement to be the bearer of such a revelation, they declare that the entire world of Islam is infidel. The founder's own argument, quite worthy of a medieval theologian, is that the spirituality of the Holy Prophet of Islam must be regarded as imperfect if it is not creative of another prophet. He claims his own prophethood to be an evidence of the prophet-rearing power of the spirituality of the Holy Prophet of Islam. But if you further ask him whether the spirituality of Muhammad is capable of rearing more prophets than one, his answer is "No". This virtually amounts to saying: "Muhammad is not the last Prophet: I am the last." Far from understanding the cultural value of the Islamic idea of Finality in the history of mankind generally and of Asia especially, he thinks that finality in the sense that no follower of Muhammad can ever reach the status of prophethood, is a mark of imperfection in Muhammad's prophethood. As I read the psychology of his mind he, in the interest of his own claim to prophethood, avails himself of what he describes as the creative spirituality of the Holy Prophet of Islam, and at the same time deprives the Holy Prophet of his Finality by limiting the creative capacity of his spirituality to the rearing of only one prophet, i.e, the founder of the Ahmadiyya movement. In this way does the new prophet quietly steal away the Finality of one whom he claims to be his spiritual progenitor. He claims to be a buruz of the Holy Prophet of Islam, insinuating thereby that being a buruz of him, his finality is virtually the Finality of Muhammad; and that this view of the matter, therefore, does not violate, the Finality of the Holy Prophet. In identifying the two finalities, his own and that of the Holy Prophet, he conveniently loses sight of the temporal meaning of the idea of Finality. It is, however, obvious that the word buruz, in the sense even of "complete likeness", cannot help him at all; for the buruz must always remain the other side of its original. Only in the sense of reincarnation, a buruz becomes identical with the original. Thus if we take the word buruz to mean "like in spiritual qualities" the argument remains ineffective; if, on the other hand, we take it to mean "reincarnation of the original" in the Aryan sense of the word, the argument becomes plausible; but its author turns out to be only a Magian in disguise. It is further claimed on the authority of the great Muslim mystic, Muhyuddin Ibn al-'Arabi of Spain, that it is possible for a Muslim saint to attain, in his spiritual evolution, to the kind of experience characteristic of the prophetic consciousness. I personally believe this view of Sheikh Muhyuddin Ibn al-'Arabi to be psychologically unsound; but assuming it to be correct, the Qadiani argument is based on a complete misunderstanding of his exact position. The Sheikh regards it as a purely private achievement which does not, and in the nature of things cannot, entitle such a saint to declare that all those who do not believe in him are outside the pale of Islam. Indeed, from the Sheikh's point of view, there may be more than one saint, living in the same age or country, who may attain to prophetic consciousness. The point to be seized is that, while it is psychologically possible for a saint to attain to prophetic experience, his experience will have no socio-political significance, making him the center of a new organization and entitling him to declare his organization to be the criterion of the faith or disbelief of the followers of Muhammad. Leaving his mystical psychology aside, I am convinced from a careful study of the relevant passages of the "Futuhat" that the great Spanish mystic is as firm a believer in the Finality of Muhammad as any orthodox Muslim. And if he had seen in his mystical vision that one day in the East some Indian amateur in Sufism would seek to destroy the Holy Prophet's Finality, under the cover of his mystical psychology, he would have certainly anticipated the Indian Ulama in warning the Muslims of the world against such traitors to Islam. "The real nature of Ahmadism is hidden behind the mist of medieval mysticism and theology. ... A careful psychological analysis of the revelations of the founder would perhaps be an effective method of dissecting the inner life of his personality. ... I do hope that one day some young student of modern psychology will take it up for serious study. ... [and that] he takes the Qur'an for his criterion, as he must." Thus in the year 1799, the political decay of Islam in Asia reached its climax. But just as out of the humiliation of Germany on the day of Jena arose the modern German nation, it may be said with equal truth that out of the political humiliation of Islam in the year 1799 arose modern Islam and its problems. This point I shall explain in the sequel. For the present I want to draw the reader's attention to some of the questions which have arisen in Muslim India since the fall of Tippu and the development of European imperialism in Asia. Does the idea of Caliphate in Islam embody a religious institution? How are the Indian Muslims, and for the matter of that all Muslims outside the Turkish Empire, related to the Turkish Caliphate? Is India Dar-ul-Harb or Dar-ul-Islam? What is the real meaning of the doctrine of Jihad in Islam? What is the meaning of the expression "from amongst you" in the Qur'anic verse: "Obey God, obey the Prophet and the masters of the affair, i.e. rulers, from amongst you"? (4:59) What is the character of the traditions of the Prophet foretelling the advent of Imam Mahdi? These questions and some others which arose subsequently were, for obvious reasons, questions for Indian Muslims only. European imperialism, however, which was then rapidly penetrating the world of Islam, was also intimately interested in them. The controversies which these questions created form a most interesting chapter in the history of Islam in India. The story is a long one and is still waiting for a powerful pen. Pandit Jawahar Lal Nehru advises the orthodox of all religions to unite and thus not to delay the coming of what he conceives to be Indian Nationalism. This ironical advice assumes that Ahmadism is a reform movement; he does not know that as far as Islam in India is concerned, Ahmadism involves both religious and political issues of the highest importance. As I have explained above, the function of Ahmadism in the history of Muslim religious thought is to furnish a revelational basis for India's present political subjugation.2 Leaving aside the purely religious issues, on the ground of political issues alone, I think it does not lie in the mouth of a man like Pandit Jawahar Lal Nehru to accuse Indian Muslims of reactionary conservatism. I have no doubt that if he had grasped the real nature of Ahmadism, he would have very much appreciated the attitude of Indian Muslims towards a religious movement which claims divine authority for the woes of India. "England showed Ahmadis ... tolerance in allowing them to open their first missionary center in Woking. ... This tolerance has created difficult problems for Islam in Asia. ... Democracy which is coming to India is sure to disillusion the Ahmadis and to convince them of the absolute futility of their theological invention." Thus the reader will see that the pallor of Ahmadism which we find on the cheeks of Indian Islam today is not an abrupt phenomenon in the history of Muslim religious thought in India. The ideas which eventually shaped themselves in the form of this movement became prominent in theological discussions long before the founder of Ahmadism was born. Nor do I mean to insinuate that the founder of Ahmadism and his companions deliberately planned their programme. I dare say the founder of the Ahmadiyya movement did hear a voice3; but whether this voice came from the God of Life and Power, or arose out of the spiritual impoverishment of the people, must depend upon the nature of the movement which it has created and the kind of thought and emotion which it has given to those who have listened to it. The reader must not think that I am using metaphorical language. The life-history of nations shows that when the tide of life in a people begins to ebb, decadence itself becomes a source of inspiration, inspiring their poets, philosophers, saints, statesmen, and turning them into a class of apostles whose sole ministry is to glorify, by the force of a seductive art or logic, all that is ignoble and ugly in the life of their people. These apostles unconsciously clothe despair in the glittering garment of hope, undermine the traditional values of conduct and thus destroy the spiritual virility of those who happen to be their victims. One can only imagine the rotten state of a people's will who are, on the basis of divine authority, made to accept their political environment as final. Thus, all the actors who participated in the drama of Ahmadism were, I think, only innocent instruments in the hands of decadence. A similar drama had already been acted in Persia; but it did not lead, and could not have led, to the religious and political issues which Ahmadism has created for Islam in India. Russia offered tolerance to Babism and allowed the Babis to open their first missionary center in Ishqabad. England showed Ahmadis the same tolerance in allowing them to open their first missionary center in Woking. Whether Russia and England showed this tolerance on the ground of imperial expediency or pure broadmindedness is difficult for us to decide. This much is absolutely clear, that this tolerance has created difficult problems for Islam in Asia.4 In view of the structure of Islam, as I understand it, I have not the least doubt in my mind that Islam will emerge purer out of the difficulties thus created for it. Times are changing. Things in India have already taken a new turn. The new spirit of democracy which is coming to India is sure to disillusion the Ahmadis and to convince them of the absolute futility of their theological invention. Nor will Islam tolerate any revival of medieval mysticism which has already robbed its followers of their healthy instincts and given them only obscure thinking in return. It has, during the course of the past centuries, absorbed the best minds of Islam, leaving the affairs of the state to mere mediocrities. Modern Islam cannot afford to repeat the experiment. Nor can it tolerate a repetition of the Punjab experiment of keeping Muslims occupied for half a century in theological problems which had absolutely no bearing on life. Islam has already passed into the broad daylight of fresh thought and experience, and no saint or prophet can bring it back to the fogs of medieval mysticism. The Ulama have always been a source of great strength to Islam. But during the course of centuries, especially since the destruction of Baghdad, they became extremely conservative and would not allow any freedom of Ijtihād, i.e., the forming of independent judgment in matters of law. The Wahabi movement, which was a source of inspiration to the 19th century Muslim reformers, was really a revolt against this rigidity of the Ulama. Thus the first objective of the 19th century Muslim reformers was a fresh orientation of the faith and a freedom to reinterpret the law in the light of advancing experience. The masses of Islam were swayed by the kind of mysticism which blinked actualities, enervated the people and kept them steeped in all kinds of superstition. From its high state as a force of spiritual education, mysticism had fallen down to a mere means of exploiting the ignorance and the credulity of the people. It gradually and invisibly unnerved the will of Islam and softened it to the extent of seeking relief from rigorous discipline of the law of Islam. The 19th century reformers rose in revolt against this mysticism and called Muslims to the broad daylight of the modern world. Not that they were materialists. Their mission was to open the eyes of the Muslims to the spirit to Islam which aimed at the conquest of matter and not flight from it. The gaze of Muslim kings gaze was solely fixed on their own dynastic interests, and so long as these were protected, they did not hesitate to sell their countries to the highest bidder. To prepare the masses of Muslims for a revolt against such a state of things in the world of Islam, was the special mission of Syed Jamal-ud-Din Afghani. "As long as a person is loyal to the two basic principles of Islam, i.e., the Unity of God and Finality of the Holy Prophet, not even the strictest mullah can turn him outside the pale of Islam." Has then the world of Islam outside India, especially Turkey abandoned Islam? Pandit Jawahar Lal Nehru thinks that Turkey has ceased to be a Muslim country. He does not seem to realise that the question whether a person or a community has ceased to be a member of Islam is, from the Muslim point of view, a purely legal question and must be decided in view of the structural principles of Islam. As long as a person is loyal to the two basic principles of Islam, i.e., the Unity of God and Finality of the Holy Prophet, not even the strictest mullah can turn him outside the pale of Islam even though his interpretations of the law or of the text of the Quran are believed to be erroneous. 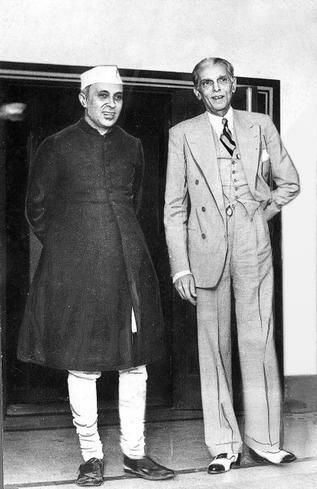 But perhaps Pandit Jawahar Lal Nehru has in his mind the supposed or real innovations which the Ataturk has introduced. Let us for a moment examine these. It is difficult for a non-Muslim to understand that, considering the history of the Muslim world during the last few centuries, the progress of a materialist outlook is only a form of self-realization. Is it then the abolition of the old dress or the introduction of the Latin script? Islam as a religion has no country; as a society it has no specific language, no specific dress. Even the recitation of the Quran in Turkish is not without some precedent in Muslim history. Personally I regard it as a serious error of judgment; for the modern student of the Arabic language and literature knows full well that the only non-European language which has a future is Arabic. But the reports are that the Turks have already abandoned the vernacular recitation of the Quran. Is it then the abolition of polygamy or the licentiate Ulama? According to the law of Islam the Amir of a Muslim State has the power to revoke the "permissions" of the law if he is convinced that they tend to cause social corruption. As to the licentiate Ulama, I would certainly introduce it in Muslim India if I had the power to do so. To the inventions of the myth-making mullah is largely due the stupidity of the average Muslim. In excluding him from the religious life of the people the Ataturk has done what would have delighted the heart of an Ibn Taimiyya or a Shah Wali Ullah. There is a tradition of the Holy Prophet reported in the Mishkat to the effect that only the Amir of the Muslim State and the person or persons appointed by him, are entitled to preach to the people. I do not know whether the Ataturk ever knew of this tradition; yet it is striking how the light of his Islamic conscience has illumined the zone of his action in this important matter. The adoption of the Swiss code with its rule of inheritance is certainly a serious error which has arisen out of the youthful zeal for reform excusable in a people furiously desiring to go ahead. The joy of emancipation from the fetters of a long-standing priestcraft sometimes drives a people to untried courses of action. But Turkey as well as the rest of the world of Islam has yet to realise the hitherto unrevealed economic aspects of the Islamic law of inheritance which Von Kremer describes as the "supremely original branch of Muslim law." That Universal Imamate is a Divine institution, and is consequently indispensable. "Islam ... finds the principle of human unification not in the blood and bones but in the mind of man. Indeed its social message to mankind is: "Deracialise yourself or perish by internecine war." "Nationalism ... comes into conflict with Islam only when it begins to play the role of a political concept and claims to be a principle of human solidarity demanding that Islam should recede to the background of a mere private opinion." "The solidarity of Islam ... consists in a uniform belief in the two structural principles of Islam, supplemented by the five well-known "practices of the faith" ... which has ... existed ever since the days of the Holy Prophet until it was recently disturbed by the Bahais in Persia and the Qadianis in India." The above paragraphs briefly sum up the exact situation in the world of Islam today. If this is properly understood it will become clear that the fundamentals of Islamic solidarity are not in any way shaken by any external or internal forces. The solidarity of Islam, as I have explained before, consists in a uniform belief in the two structural principles of Islam, supplemented by the five well-known "practices of the faith." These are the first essentials of Islamic solidarity which has, in this sense, existed ever since the days of the Holy Prophet until it was recently disturbed by the Bahais in Persia and the Qadianis in India. It is a guarantee for a practically uniform spiritual atmosphere in the world of Islam. It facilitates the political combination of Muslim States, which combination may either assume the form of a World State (ideal) or of a League of Muslim States, or of a number of independent States whose pacts and alliances are determined by purely economic and political considerations. That is how the conceptual structure of this simple faith is related to the process of time. The profundity of this relation can be understood only in the light of certain verses of the Qu'ran which it is not possible to explain here without drifting away from the point immediately before us. Politically, then, the solidarity of Islam is shaken only when Muslim States war on one another; religiously, it is shaken only when Muslims rebel against any of the basic beliefs and practices of the faith. It is in the interest of this eternal solidarity that Islam cannot tolerate any rebellious group within its fold. Outside the fold, such a group is entitled to as much toleration as the followers of any other faith. It appears to me that at the present moment Islam is passing through a period of transition. It is shifting from one form of political solidarity to some other form which the forces of history have yet to determine. Events are so rapidly moving in the modern world that it is almost impossible to make a prediction. As to what will be the attitude towards non-Muslims of a politically united Islam, if such a thing ever comes, is a question which history alone can answer. All that I can say is that, lying midway between Asia and Europe and being a synthesis of Eastern and Western outlooks on life, Islam ought to act as a kind of intermediary between the East and the West. But what if the follies of Europe create an irreconcilable Islam? As things are developing in Europe from day to day they demand a radical transformation of Europe's attitude towards Islam. We can only hope that political vision will not allow itself to be obscured by the dictates of imperial ambition or economic exploitation. In so far as India is concerned, I can say with perfect confidence that the Muslims of India will not submit to any kind of political idealism which would seek to annihilate their cultural entity. Sure of this they may be trusted to know how to reconcile the claims of religion and patriotism. "Bear witness that Allah is One. Muhammad is the Prophet of Allah. Qu'ran is the Book of Allah. Ka'ba is the Qibla of all. You are Muslims and should live with Muslims. Greet Muslims with Assalam-o-'Alaikum. Give your children Islamic names. Pray with Muslim congregations in mosques. Keep fast regularly. Solemnize your marriages according to Islamic rules of Nikah. Treat all Muslims as your brothers." 1. Academy of Islamic Research And Publications is presenting this lucid and impressive article by Dr. Sir Muhammad Iqbal to the English knowing people and hopes that those who take the views of ulama as narrow-minded and bigoted will realise the grave nature of the mischief – both religious and cultural – that Ahmadism tends to cause to the body-politic of Islam ... His views as expressed in this brochure about Mustafa Kamal had undergone a change as could be seen from Javed Namah wherein the poet denounces Mustafa Kamal as a blind imitator of the West. 2. For the Mirza abrogated "Jihad" to please his British masters. As a matter of fact, he wanted to kill the martial spirit in Muslims. Note by A. R. Tariq. 3. It may be a voice of the devil to mislead, just as mentioned in the last chapter of the Holy Qur'an. Note by A. R. Tariq. "It is thought that I have made a subtle suggestion to the Government to suppress the Qadiani movement by force. Nothing of the kind. ... The best course for the rulers of India is, in my opinion, to declare the Qadianis a separate community. This will be perfectly consistent with the policy of the Qadianis themselves, and the Indian Muslim will tolerate them just as he tolerates other religions."